In May I received an email from the Hoaglund family asking me if I was interested in contributing to a research project conducted by the three girls listed below. As the father of a 6 year old daughter who loves distance running (and competition in general) I felt the acknowledgment of the problem discussed below is necessary. What these three girls have put together is extremely beneficial and eye-opening. Below is the text of the study - published with permission of all involved. In the state of Alabama, the sport of cross country has increased in popularity in recent years. Due to the increased interest, a problem is noticed among female distance runners. The problem occurs when female runners experience a seemingly unexplainable decrease or plateau in performance time during different stages of their development. This change in performance occurs inconsistently and is not always related to training factors. Female runners need to be aware that as the human body physically matures, many adolescent athletes note a decrease in performance. Research suggests a plateau in the progression of performance and physical fitness in the years directly following puberty in both males and females. This study is designed to determine the correlation between female and male distance runners from seventh through twelfth grades and the onset of puberty. The study focuses on the plateau of performance rate in female runners compared to male runners, and how puberty effects performance rate. In one cohort, the data of the top fifty male and female 5K times of seventh through twelfth grade Alabamians, 1800 in total, was entered into an SPSS statistical analysis program, and each grade's mean and the mean difference was calculated. Additionally, a cohort, forty-five elite female athletes were selected randomly in order to protect their identity, their personal records were entered into the program, and the mean and mean difference of their times were calculated. All data was collected from Alabama Milesplit. I began to run cross country in seventh grade. Over the first few weeks, I lost about ten pounds and shaved minutes off my two mile time. By the end of the season, my coach had invited me to run a few 5ks with the high school. Even though I was running quickly, my performances were inconsistent at best. However, I competed well for my age at the state meet. Because of my success, I decided to run indoor and outdoor track. I loved the competition, success, and the company of the girls on my team. During the season, I lost another five pounds and ran faster than I had thought possible. Therefore, when the state competition for track arrived, my times decreased once more. That summer I cross trained until late July. Honestly, my eighth grade year was a blur. Although I was still under weight, my cross country times dropped by impressive increments. Track season followed the same pattern and I gained my first state champion titles. However, over the summer instead of cross training, I ran in earnest for the first time. The extra training proved beneficial to my cross country times, but at a much slower rate of decrease. I ended the season a little disheartened that I was unable to accomplish my desired time. However, track season quickly altered this mindset. In the state of Alabama, the sport of cross country has increased in popularity in recent years. Due to the increased interest, a problem is noticed among female distance runners. The problem occurs when female runners experience a seemingly unexplainable decrease or plateau in performance time during different stages of their development. This change in performance occurs inconsistently and is not always related to training factors. Because of the inconsistencies in performance, female runners sometimes seek to improve their performance through weight loss or over training. These methods can cause lasting harm to the body. Female runners need to be aware that as the human body physically matures, many adolescent athletes note a decrease in performance. Research suggests a plateau in the progression of performance and physical fitness in the years directly following puberty in both males and females. Even though the plateau in progression of performance rates is later in males, both genders experience this decrease in performance rate. This study specifically examines how a performance plateau may manifest in female endurance runners. The purpose of this study is to determine if there is a difference in progression of performance in male vs. female runners and if a difference exists, is there a relationship between performance and puberty. This study will focus on the plateau in the progression of performance rate of female cross country runners as compared to males. In addition, the study seeks to determine the correlation between female and male distance runners from seventh through twelfth grades and the onset of puberty. According to George Patton and Russell Viner, "puberty is considered as an interconnected suite of changes with wide individual variations in the sequence and timing of its components" (1130). The onset of puberty causes many physiological changes in the human body. Because of the nature of these changes, physical performance after puberty in males may increase while physical performance of females may not increase at the same rate. There is little research on when exactly the plateau in the progression of performance rate in distance runners occurs. Therefore, this study seeks not only to confirm the existence of a plateau in the progression of performance rate in female long distance runners, but to reasonably predict when it will occur in female distance runners. It is important to determine patterns and trends in to be able to prepare runners for the possibility of physiological changes that could negatively affect their performance. If a relationship between puberty and endurance running is established, the implications of this study may influence how female endurance runners train during prepubescent and pubescent years. The VO2max or the maximal oxygen consumption at any given time is considered to be the most important component of long distance or endurance exercise (Thompson, Baxter-Jones 33). When one's workload goes up so does one's oxygen consumption levels (VO2). Then when one levels off their workload a plateau occurs causing a VO2max. However the more common way of measuring long distance training to exhaustion, is the peak VO2 which is the highest oxygen consumption elicited during this kind of exercise (Thompson, Baxter-Jones 33). The absolute peak VO2 increases with age in both males and females. It seems, however, that especially after puberty the increase becomes smaller in females than in males. Studies show that peak VO2 improves as children age because of the increase in body size and improved function in healthy children (Thompson, Baxter-Jones34). Usually peak VO2 increases steadily throughout childhood and adolescence in males, but studies suggest a steady decrease in females. Studies also show that peak VO2 decreases with the gain of body fat. During puberty, boys lose body fat and increase in lean muscle mass. Since girls naturally gain weight in puberty, the decrease in peak VO2 directly correlates to the pubertal growth in girls. (Thompson, Baxter-Jones 34). One study was conducted with males and females from ages seven to eighteen who participated in short distance sprints. Boys continue to increase in their performance rate for these short distance sprints throughout middle school and high school, but tend to reach a plateau at age fifteen around three years later than girls. Before age thirteen girls have significant decreases in time. After thirteen, however, girls do not differ significantly from girls even two years younger than them, suggesting the presence of a plateau. Then from ages seventeen to eighteen girls again began to decrease in running time after the plateau. If these trends hold true for children ages seven to eighteen during short distance sprints, the question then becomes whether or not the trends continue for long distance male and female runners of the same age. (Papaiakovou, Giannakos, Michailidis, Patikas, Bassa, Kalopisis, Anthrakidis, Kotzamanidis, 2569). Other research, however, suggests that some runners may experience a less severe plateau than others based on their predisposition to run and compete well in long distance races. Elite female and male runners may have an easier time transitioning through puberty and therefore may experience a less dramatic plateau in performance (Sports Day 4). Unfortunately in an attempt to control the negative effects of puberty on athletic performance, some female runners engage in behaviors that can cause permanent issues. According to the FISA Coaching Development Program 6% of non-athletic girls suffer from eating disorders. The number increase to 20% among girls who participate in sports like Cross Country where body fat low is emphasized. There is an extra 10% increase in athletic girls who are already predisposed to tendencies of eating disorders (nationaleatingdisorders.org). During puberty, girls experience an increase in percentage of body fat. Even before puberty, 40 to 60% of elementary school girls expressed a desire to lose weight. Moving into the adolescent age, 35 to 57% of high school girls admit to crash dieting, self-induced vomiting, and skipping meals (nationaleatingdisorders.org). Serious effects of eating disorders include osteoporosis, muscle loss and weakness, and risk of heart failure (nationaleatingdisorders.org). This research shows that girls are all already more prone to eating disorders after puberty without the added 20 and 10% percent increase of athletic girls. Added pressure of remaining thin to increase performance in a sport like cross country only increases the risk of an eating disorder in teens (nationaleatingdisorders.org). A poor performance or season slump can lead girls to blame their weight and body fat which is naturally gained through puberty. The danger then becomes over training without the proper calorie intake for a growing body (nationaleatingdisorders.org). The changes of puberty can be potentially dangerous to the female runner if the runner is not prepared. Is there a relationship between puberty and the performance rate of female cross country runners compared to males grades 7-12? When is a plateau in the performance rate most likely to occur in female cross country runners in grades seven to twelve? The training schedule of the participants is unknown. The age of the onset of puberty for a particular runner is unknown. Injuries and other factors in the decrease/ increase in performance are not taken into account. The runners themselves are not being studied only their performance times therefore assumptions must be made that the runners are following some sort of endurance training program. Performance rate is the increase or decrease in the 5K time of distance runners from year to year. Plateau of performance rate is referred to as a lack of increase in performance rate from year to year in 5K times of distance runners. In the first data group, the top fifty male and female runners' 5K personal records were examined from the years 2013 through 2015 grades seven through twelve. This resulted in a total number of 1800 runners. The individual cohorts were grouped and compared by gender, grade and year of competition in AHSAA sanctioned events. In the second data grouping, forty-five girls over the years 2013-2015 who were ranked in the top 25 runners from the state of Alabama were randomly selected and their personal records for 5K from seventh to twelfth examined and compared to the rest of the data. 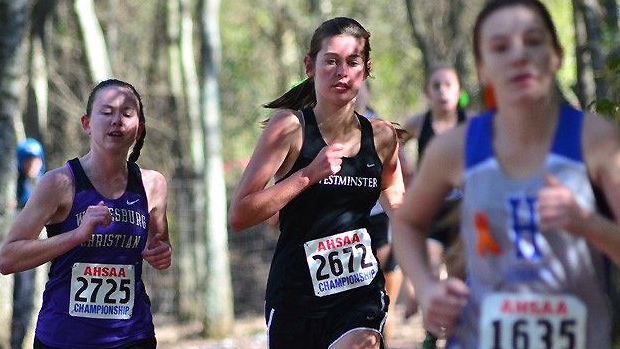 All of the runners competed in AHSAA sanctioned events in their respective years. 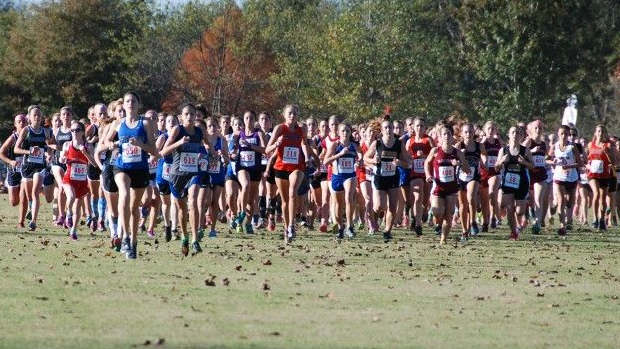 The running times for this study were collected from Alabama Milesplit. The data from the 1800 Alabama runners' cohort and the cohort of forty-five girls were entered and analyzed with the SPSS statistical analysis program. Through this program, the mean 5K time and the mean difference among grades seven to twelve was calculated. The means between each grade was compared in the years 2013 through 2015. Also, an ANOVA test was used to determine the ways in which the means of the cohort differed from one another. This study analyzes quantitative data from 1800 middle school and high school runners as well as the 45 top runners from the state of Alabama over three years. This is a longitudinal and cross-sectional study. The study is longitudinal in that the data from the participants in both separate groups of data was gathered over multiple years. This study is cross sectional because the data was collected from a representative subset of runners. This study is correlational rather than causational due to the fact that the plateau and performance rates are affected by many variables other than puberty. In addition, the researchers were only analyzing running times and relating the times with the average onset of puberty for both athletes and non-athletes. The following section is the collected data and corresponding analysis. The data represents 50 of the top male and female runners in the state of Alabama in grades 7-12. Data for both male and female runners was obtained for comparative purposes. Additional data was obtained from 45 top 25 female 12th grade runners from 2013, 2014, and 2015. The sample set was randomized to protect the identity of the runners. Running times from each of the 45 reflect their personal record performance from the 5K race from their 7th -12th years. Figure 1. This graph shows the average times of female cross country runners in each grade 7-12 in the year 2013. The most significant decrease is from seventh to eighth grade. The times then increase until tenth grade where they decrease until senior year. Figure 2. This graph shows the average times of female cross country runners in each grade 7-12 in the year 2014. The most significant decrease in time is from seventh to eighth grade. After the initial decrease in time, the times then increase until after sophomore year where there is a slight decrease. Figure 3. This graph shows the average times of female cross country runners in each grade 7-12 in the year 2015. The most significant decrease in time is from seventh to eighth grade, but the times also decrease from eighth to ninth grade. The times from ninth to eleventh grade plateau, and senior year the times decrease slightly. Figure 4. This graph shows the average times of male cross country runners in each grade 7-12 in the year 2013. The times decrease most significantly from seventh to eighth grade. The times decrease every year after but at a slower rate of decrease. Figure 5. This graph shows the average times of male cross country runners in each grade 7-12 in the year 2014. The most significant decrease in time is from seventh to eighth grade and the next is from eighth to ninth. After ninth grade, the times continue to decrease but at a slower rate. Figure 6. This graph shows the average times of male cross country runners in each grade 7-12 in the year 2015. There is a decrease from seventh to eighth grade, but the most significant decrease in time is from eighth to ninth grade. After ninth grade, the times decrease at a slower rate until increasing senior year. Figure 7. This graph shows the average times from grades 7-12 years 2013-2015 of female cross country runners. The most significant decrease is from seventh to eighth grade and, the next is from eighth to ninth. After ninth grade the girls' rate of decrease lessens each year. Figure 8. This graph shows the average times from grades 7-12 years 2013-2015 of male cross country runners. The most significant decrease in time is from seventh to eighth grade. The rest of the times decrease at a slower rate. Figure 9. The ANOVA shows the variance between the groups based on the means. Figure 10. Comparison between male and female runners. The data of female runners in years 2013-2015 show the most significant decrease in time from seventh to eighth grade, and then a slighter decrease in time from eighth to ninth grade. From ninth to tenth grade, the girls increase in time showing trends of a plateau from the years following. From eleventh to twelfth grade the times decrease slightly. Comparatively, the male runners' data from 2013-2015 shows a continuous decrease in performance with the most significant decrease from either seventh to eighth grade or eighth to ninth grade. All data shows a slight decrease in time throughout the boys' high school career. Comparing the 45 female randomly selected sample of runners. The following describes the performance means for the data obtained from 45 top 25 Alabama female 12th grade runners from 2013, 2014, and 2015. The sample set was randomized to protect the identity of the runners. Running times from each of the 45 reflect their personal record performance from the 5K races from their 7th -12th grade years. The purpose of including this random sampling was to determine if the same trends would be present in individual runners over the course of middle and high school. It is assumed that these runners would be following some type of endurance training regime because of the success that they experienced in this sport. Figure 11. This chart shows the fastest time, slowest time, the average time, and the deviation in time for randomly selected girls from the sample of forty-five. Figure 12. This graph shows each of the forty-five female runners' change in time from grades 7-12. The times do not increase or decrease at a constant rate. Figure 13. This graph shows the average times of the 45 girls each year 7-12th grade. There is a significant decrease from seventh to eighth grade, and the rate plateaus from eighth to ninth. However, from ninth to eleventh grade there is a decrease in time, and senior year the rate of decrease slows. Figure 12 illustrates the mean of forty-five girls who competed from seventh through twelfth grade. These results vary slightly from the larger group of girls in figures 1, 2, and 3. They also have their greatest decrease in time from seventh to eighth grade, but they experience a less severe plateau that lasts only from eighth grade to ninth, and then a slight decrease in performance from eleventh to twelfth grade. The graph and analysis of the large data set shows that the majority of girls experience the most significant decrease in 5K time from seventh to eighth grade and then a plateau throughout the ninth, tenth, and eleventh grades and then a slight decrease in time rate from eleventh to twelfth grade. Overall, the data shows that boys experience a decrease in 5K time all throughout middle school and high school. The large data set of girls seventh through twelfth grade shows that the majority of girls experience the most significant decrease in 5K time from seventh to eighth grade. Then, they experience a plateau from ninth to eleventh grade until another slight decrease in time from eleventh to twelfth grade. The smaller set of data containing the trends of the forty-five elite female runners shows that they also have their greatest decrease in time from seventh to eighth grade, but they experience a less significant plateau that lasts only from eighth grade ti ninth grade, and then a slight plateau in time from eleventh to twelfth grade. The purpose of this study was to determine if there is a difference in progression of performance in male vs. female runners and if a difference exists, is there a relationship between performance and puberty. This study focused on the plateau of performance rate of female cross country runners as compared to males. In addition, the study sought to determine the correlation between female and male distance runners from seventh through twelfth grades and the onset of puberty. According to George Patton and Russell Viner, "puberty is considered as an interconnected suite of changes with wide individual variations in the sequence and timing of its components" (1130). The onset of puberty causes many physiological changes in the human body. Because of the nature of these changes, physical performance after puberty in males may increase while physical performance of females may not increase at the same rate. If a relationship between puberty and endurance running is established, the implications of this study may influence how female endurance runners train during prepubescent and pubescent years. The data collected during this study suggests that there is in fact a significant plateau that occurs in female distance runners between the ninth through eleventh grades, whereas males continue to increase in performance rate throughout middle school and high school. Although the smaller data set of girls seventh through twelfth grade differs slightly from the larger data set of girls, research suggests that elite runners may be less dramatically affected by puberty. Since the small data set was from the forty-five fastest runners that competed from seventh through twelfth grade, puberty could affect them less dramatically than some of the other girls in the larger data set. The most significant decrease in time was seventh to eighth grade for both male and female runners according to all the data collected. Prior to puberty, children are able to improve their level of fitness with minimal training (NASPE, 1989). Since most runners do not begin training in earnest until seventh grade, then the most significant decrease in time would be after the first year of training. However, after the onset of puberty, much more training is required to maintain previous times. Many girls are unable to handle the increase in training psychologically and are unfortunately unable to run their previous times (Greene, Pate).This could be one of the factors which causes the plateau in times of female runners from ninth to eleventh grade. The research states that the average onset of puberty is eleven for females and thirteen for males. The data from this study suggests a correlation between the onset of puberty and the increase in time in female distance runners and the decrease in time for male distance runners. There have been previous studies conducted on sprinters regarding a plateau in physical fitness related to the onset of puberty. This research states that female sprinters begin to experience a plateau at ages thirteen through age sixteen. Female sprinters usually emerge from this slump in performance rate at around age seventeen and increase in performance rate from ages seventeen to eighteen (Papaiakovou,et.al. 2569).The data collected during this study shows that female distance runners on average experience a plateau from grades ninth to eleventh and then emerge from the plateau from grades eleventh to twelfth. This data seems to follow the trends previously set for female sprinters. If this drop in physical performance in sprinters can be traced to the onset of puberty, then perhaps, distance runners will follow similar patterns and trends. The findings from this study regarding female distance runners suggests that puberty can impact the plateau in performance rate. The male sprinters in the same study showed an increase in performance rate until age fifteen when they experienced a slight plateau (Papaiakovou, Giannakos, Michailidis, Patikas, Bassa, Kalopisis, Anthrakidis, Kotzamanidis, 2569). This does not follow the trends of male distance runners as seen in this study. Male distance runners increased in performance time throughout high school and some research suggests that they experience a plateau in physical performance at age eighteen. This difference could simply be related to the fact that male distance runners respond differently to puberty than male sprinters because of the different body compositions to succeed in each area and the different training regiments used before, during, and after puberty. The effects of puberty on male runners are usually beneficial because the effects include an increase in muscle mass and bone structure (NASPE, 1989). Although these changes might at first hinder the runner, in the long term they will be beneficial. Though the research suggests that puberty could have some effect on the performance rate of male and female distance runners, there are many variables that prevent the determination of a causational relationship between the two. The effects of puberty should have a negative effect on the times of female runners. The weight gain is in mostly due to an increase in fat content which would hinder any female athlete in competition (NASPE, 1989). Also, puberty in females includes the widening of the hips which changes the stride of the runner, and could possibly negatively affect the times of the runner (NASPE, 1989). Each girl experiences the onset of puberty at a different time and while puberty can dramatically affect the body fat and lung and maturation of one girl it could affect another much less dramatically. This data also only includes the 5K racing time personal records. It does not include their training regiments, sleep schedules, or eating habits. Variables such as these can have an extremely significant impact on these girls' and boys' times and races throughout their middle and high school years. So one cannot definitively say that puberty directly caused the slump or plateau in performance rate in female distance runners or the increase in performance rate for male distance runners. However, one can at the very least admit that there is a correlation of some kind between the onset of puberty and the plateau in performance rate of female distance runners and the increase in performance rate in male distance runners. The onset of puberty is inevitable, and female distance runners should be prepared for the effects of it on their performance. Although the changes might have negative results on the runner's times, it is not impossible to continue training. An increase in mileage is beneficial to female distances runners during and after puberty (Greene, Pate). The decrease in times become harder to achieve but not impossible. Studies about the plateau in female distance runners are few and far between. There is not nearly enough research considering the popularity of the high school sport. The runner in One Runner's Story is an example of an athlete whose times were negatively affected by the onset of puberty. However, due to increased training, her times are slowly improving. The purpose of this study was to determine the correlation between female and male distance runners from seventh through twelfth grades and the onset of puberty. Research on the effects of puberty and physical fitness have been examined to determine how distance runners specifically are affected by a performance plateau. Consequently, there has been very little research on the correlation between a distance runner's performance rate, plateau, and puberty. According to the findings from this study, female runners tend to experience a plateau in physical fitness during high school that correlate with the age of onset of puberty supporting previous research regarding performance plateaus in other sports. By contrast, boys grow faster during high school gaining important muscle mass while females gain body fat. Even though the average girl will experience a plateau, Dr. Keith Meister the director of the Texas Metroplex Institute for Sports Medicine and Orthopedics asserts that "elite girls probably have a smoother transition through puberty" because "their bodies are better set up for them to be runners to begin with" (Sports Day 1). Comparatively, Terry Jessup an elite distance coach said that "only about half the girls [he works] with improve post-puberty." So how do female runners prepare for the impending plateau? Jessup suggests that parents of runners should emphasize a healthy diet especially one that is calcium rich. He also suggests to "minimize intense workouts and emphasize easy running" (Sports Day 3). Additionally, girls can prepare for these changes by taking a multivitamin every day. Unfortunately in an effort to continue to improve their performance times, some runners turn to dangerous behaviors such as weight loss and even eating disorders. As stated, 6% of nonathletic girls suffer from eating disorders, whereas 20% of girls who participate in sports where low body fat is emphasized suffer from eating disorders. Parents, runners, and coaches need to be proactive and help young female runners make a healthy transition during puberty. Consequently, girls who start out strong in middle school will need to be aware that their performance rate will most likely suffer at some point and should mentally prepare for this plateau. According to the 2012 FHSAA Cross Country championship results, "Thirty-three of the top 100 girls' times came from 9th graders or younger, 24 of the top 100 were seniors." These results further emphasize the findings in this study. In sum, becoming aware of one's body and the changes that occur will assist young runners in training adjustments and ensure they will remain healthy competitors for years to come. 1.Barrack, Michelle, et al. "Body Mass, Training, Menses and Body in Adolescent Runners: A 3year Follow up." American College of Sports Medicine 43.6 (2011): 959-966. Print. Coaching.org. IAAF Introduction to Coaching: Growth and Development . 2008. Print. 2.Eisenmann , Joey, and Eric Wickel . "Estimated Energy Expenditure and Physical Activity Patterns of Adolescent Runners ." International Journal of Sports Nutrition and Exercise Metabolism 17. (2007): 178-188. Print. 3.George, Brandon. "Track Skills Often Decline as Girls Mature into Women." General Sports. SportsDayHS, 19 May 2010. Web. 27 Feb. 2016. 4.Goswami , Basuli , Anindita Singha-Roy, and Amit Bandyopadhyay. "Impact of Pubertal Growth in Physical Fitness." American Journal of Sports Science and Medicine 2.5A (2014): 34-39. Print. 5.Greene, Laurence S, and Russell Pate. Training Young Distance Runners-3rd Edition. United States: Human Kinetics Publishers, 1 Jan. 2014. Print. Maffulli , M, and E Pintore . "Intensive Training in Young Athletes." Sports Medicine 24.4 (1990): n.pag. Web. 27 Feb. 2016. 6.Mitchell, Matthew. The Truth about Puberty and Running - Part 2. flrunners.com, 11 Dec. 2013. Web. 27 Feb. 2016. National Association for Sport and Physical Education NASPEEduction . "The Young Athlete's Body." Parents Guide to Youth Sports (1989): n.pag. Print. 7.Nedeljkovic, Aleksanda , et al. "Effect of Maturation on the Relationship Between Physical Performance and Body Size." Journal of Strength and Conditioning 21.1 (2007): 245-250. Print. 8.Papaiakovou, Georgios , et al. "The Effect of Chronological Age and Gender on the Development of Sprint Performance During Childhood and Puberty." Journal of Strength and Conditioning Research 23.9 (Dec. 2009): 2568-2573. Print. 9.Patton, George, and Russell Viner . "Pubertal Transitions in Health." Lancet 369. (Mar. 2007): 1130-39. Print. 10.Rogol , Alan, Pamela Clark, and James Roemmich . "Growth and Pubertal Development in Children and Adolescents: Effects of Diet and Physical Activity." American Journal of Clinical Nutrition 72.72(suppl) (2000): 521S-8S. Print. 11.Rogol , Alan, James Roemmich , and Pamela Clark. "Growth at Puberty." Journal of Adolescent Health 31. (Dec. 2002): 192-200. Print. 12. "Sports | Growing Pains -- for Many Female High-School Distance Runners, Puberty and the Changes It Brings to Their Bodies Is Their Most Difficult Opponent | Seattle Times Newspaper." Google+, n.d. Web. 27 Feb. 2016. 13.Thompson, Angela, and Adam Baxter-Jones. "Endurance Training in Young Female Athletes." Sports Medicine and Arthroscopy Review 10.1 (2002): 33-44. Print. 14. "AlabamaRunners | Alabama High School Running News and Videos | Cross Country and Track & Field." Alabama Runners. Web. 27 Feb. 2016.